It’s long been known that the National Security Agency (NSA) monitors phone calls within the United States to detect suspicious activity. However, according to a bombshell report obtained by The Washington Post, the agency, along with the FBI, also investigates and obtains data from Facebook, Google, Skype, and many other popular websites on a scale never before imagined. The program that sifts through data from these sites, codenamed PRISM, collects information from the servers of service providers. Under the Protect America Act of 2007 and the FISA Amendments Act of 2008, private U.S. companies are allowed to disclose sensitive information to government agencies if it’s requested of them. Microsoft was the first major company to begin working with PRISM in 2007, with others following suit, including Apple just last year. In the wake of the report, many companies have released vague or qualifying statements about their involvement with PRISM. “Protecting the privacy of our users and their data is a top priority for Facebook,” Facebook said in their statement. “We do not provide any government organization with direct access to Facebook servers. 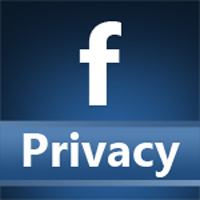 When Facebook is asked for data or information about specific individuals, we carefully scrutinize any such request for compliance with all applicable laws, and provide information only to the extent required by law.” While they deny allowing direct access, Facebook’s statement intentionally leaves the door wide open about what other kinds of access they may provide. Details of this case are only beginning to emerge, but it’s already clear that this is going to be one of the biggest privacy and social media-related scandals of the year.